The Adult Mother of Pearl Cremation Urn is a solid brass urn with a polished finish highlighted with bands of beautiful inlaid mother of pearl around the urn and on the lid. The lid is threaded for a secure closure. This urn cannot be engraved. 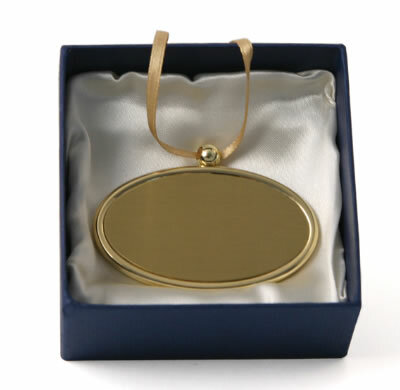 However, you can engrave the oval pendant which hangs on a ribbon around the neck of the urn. Hover your mouse over the small fonts image to make the image larger. Please limit engraving to no more than about 35 spaces per line. Matching keepsake is available under our Keepsakes category. Holds 200 cubic inches which is adequate for most adults with healthy weights less than 200 pounds. Usually ships one business day if order is placed. Ships from the Midwest.